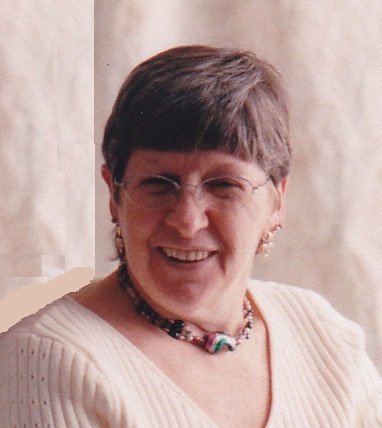 Marilynn Agnes (Shea) Demers, 70, passed away peacefully in her home in Liberty, MO on April 6, 2019, surrounded by family. Visitation will begin at 1:00 pm, followed by services at 2:00 pm, on Friday, April 12, at Park Lawn Northland Chapel, I-35 at State Route 291, Liberty. In lieu of flowers, memorials are suggested to the American Stroke Foundation, 6405 Metcalf Avenue, Mission, KS 66202 (https://americanstroke.org/). Marilynn was born March 19, 1949, in Kankakee, IL, the second of eight children of Paul Leo and Bernadette (Messier) Shea. Along with her parents, Marilynn was preceded in death by her sister, Mary. Marilynn received her Bachelor's degree in Social Work from Washburn University and later received her Master's degree in Art Therapy from Emporia State University. She worked many years as a Licensed Baccalaureate Social Worker. She later was dedicated to Art Therapy, owning and operating Naturally Yours, Inc., helping patients in hospice and assisted living, and those with special needs and memory care needs. Marilynn was a member of the American Art Therapy Association. Survivors include her husband, Roland; children, Dawn Kelly (Brian), Denice Artzer and David Alberts (Jennifer); grandchildren, Wesley Alberts (Mandy), Jacob Kelly, Tyler Kelly, Zachary Artzer, Austin Alberts, Mason Alberts, Rachel Warren (Wendall), and Joetta Davis (David); seven great grandchildren; siblings, Paulette, Catherine, Gwen, Nancy, Leo and Lisa; as well as many nieces, nephews, other family members and friends. Visitation will begin at 1:00 pm, followed by services at 2:00 pm, on Friday, April 12, at Park Lawn Northland Chapel, I-35 at State Route 291, Liberty. Losing my best friend is one of the most difficult things to happen to me. We had so many wonderful adventures together, I just wish we had more time for more fun. Deepest sympathy to the Demers and Shea families. I am so sorry for your loss. Marilyn's amazing spirit impacted so many people and she will be greatly missed by all. Thank you Marilynn for helping me learn how to bring people together and help them learn about themselves through art making. I will never forget my experiences with Naturally Yours. Peace to you now. Deepest sympathies to all. We will miss Marilyn greatly. She was not only a friend, but part of our Kansas City family. -Chris, Donna and Eric. Denice and family, you are in our prayers today and during this next difficult week. Remember the good times with your healthy mother and cherish all those memories. Your mother may have passed but you can still hold her near in your heart. Deepest condolences for you loss. Dawn, I am so sorry for your loss. Thinking of you. Sending Love and Prayers. We are sorry for your loss and send our thoughts, prayers, and condolences to the entire Demers family. We are extremely thankful for her two terrific grandchildren that are a part of our company.